When the first day of winter arrives, it brings the winter solstice. In the northern hemisphere, the winter solstice comes on or around December 21 each year, and in the southern hemisphere it comes on or around June 21. As the shortest day of the year, it caps six months of gradually decreasing light since the amount of daily sunlight peaked with the summer solstice—the longest day of the year—in June in the northern hemisphere and in December in the southern. Over the half year before the solstice, the waning light brings changing seasons and cooling temperatures that encourage us to imitate nature by slowing down and harvesting the fruits of our labors over the past year. Also, this period’s longer nights draw us indoors and help us recharge from months of increased activity by encouraging us to rest and sleep more. 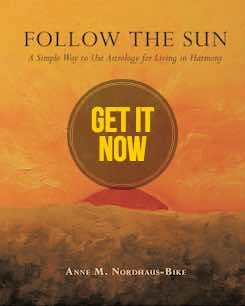 Along with these necessary physical adaptations, the decreasing daylight signals us to give more time to spiritual pursuits; with less physical light to guide us, we must increase our inner or spiritual light and learn how to let it direct our lives. This focus on spirituality accelerates as the amount of daily darkness increases and peaks at the winter solstice. As a result, today offers one of the year’s most powerful opportunities for going within, reflecting on our spiritual lives, and setting new intentions. 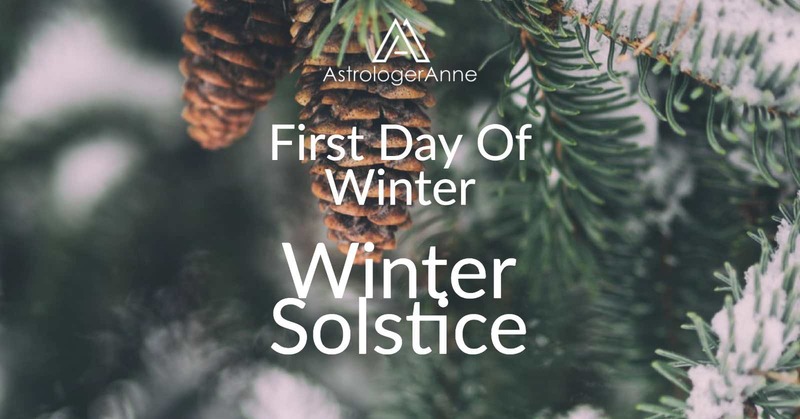 Also, every year at the winter solstice in northern areas, the Sun moves out of fun-loving, philosophical Sagittarius and into sober, disciplined Capricorn, marking the official start of winter. Given these momentous planetary changes, the solstice encourages us to reflect on Sagittarius themes—such as higher education, publishing, travel, law, religion, philosophy, and beliefs. The solstice also presents a potent opportunity to explore the Capricorn themes—such as discipline, ambition, solitude, karma, and the kind of authority represented by big government and big business—that always become increasingly important over the month that comes after the solstice, during the Sun’s annual journey through Capricorn. If we have the courage to set aside the materialism and worldly ambition that so easily distract this sign, we will be ready to undertake Capricorn’s true work of climbing the inner or spiritual mountain and using the highest ideals as a foundation for anything we build in the material world. Also, enjoy my video for the winter Solstice, Feel Peaceful Now – Capricorn Winter Solstice Meditation Video and my article, Winter Solstice Will Make You Feel Peaceful. On this day of greatest physical darkness, may our inner light shine brightly as we reflect on the past and begin the work of building the future.